No more buffering. No more dead zones. 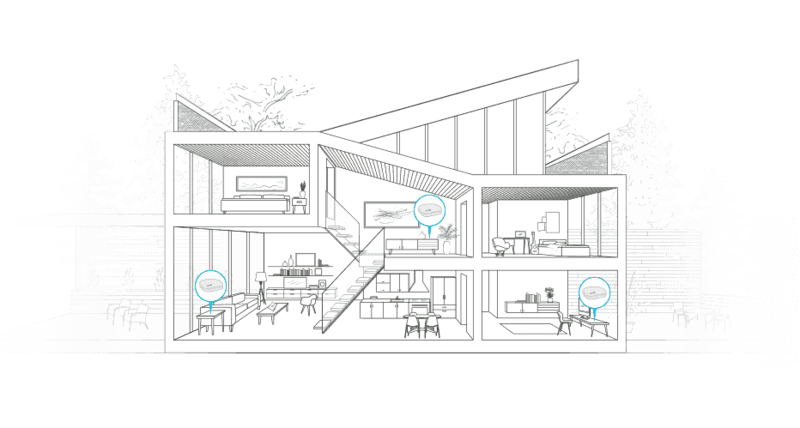 eero is the world’s first home WiFi system. A set of three eeros covers the typical home. They work in perfect unison to deliver hyper-fast, super-stable WiFi to every square foot of your house. It’s simple to set up. Easy to manage. And gets better over time with new features and improved performance. Stream video, get work done, or swipe right in any room — not just next to your router. Finally. WiFi that actually works. 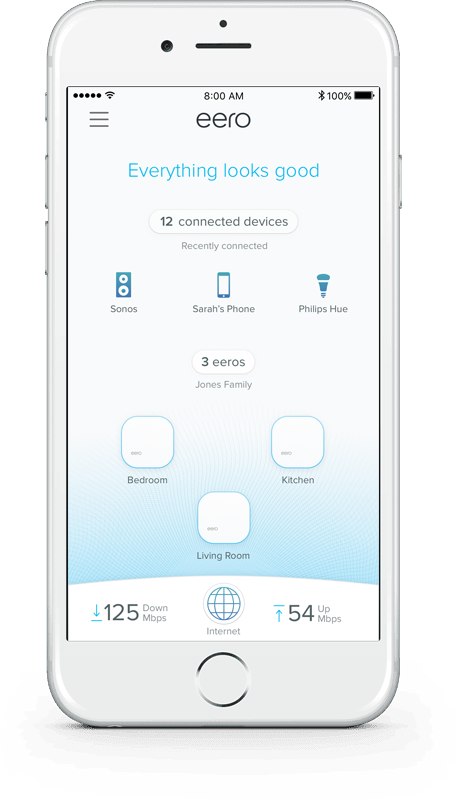 Plug one eero into your modem and the app will help you place the others throughout your home. You can name your network anything you want. Anything.